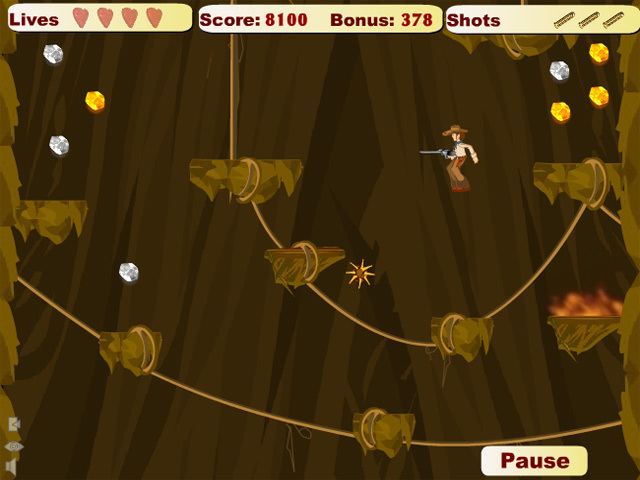 Collect sparkling jewels while battling cursed creatures and pernicious perils in this action-packed arcade game!Dare to delve the Den of Diamonds!Collect sparkling jewels while battling cursed creatures and pernicious perils in this action-packed arcade game! 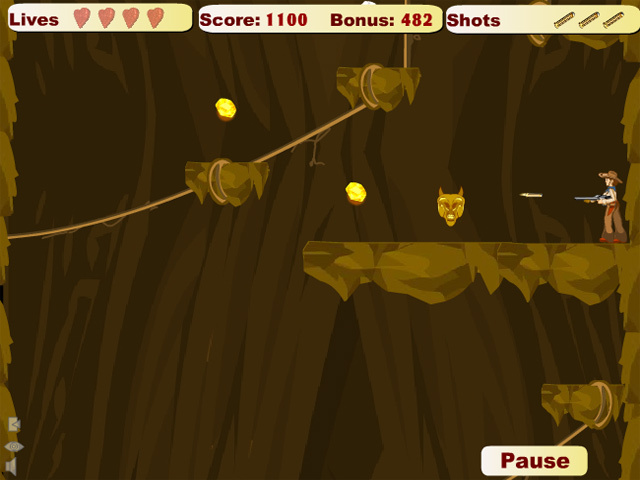 Keep an eye on your ammunition, there's plenty packed away in the den, but there's even more irate monsters. 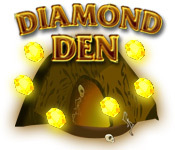 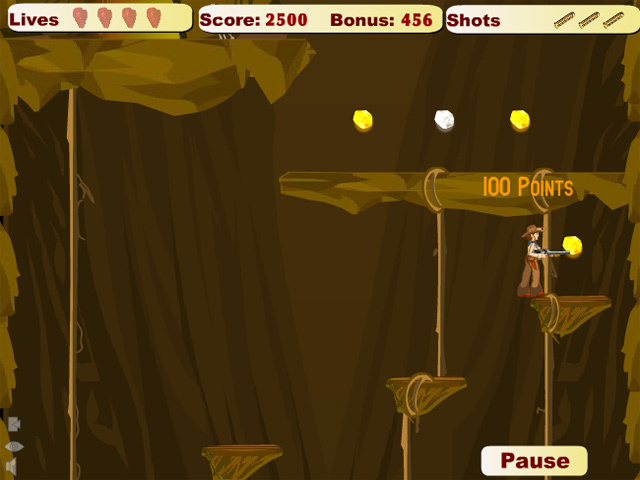 Run, jump, and shoot your way to fortune and glory in the Den of Diamonds!